we sat down the other night to watch dancing with the stars (our favorite show and leko's favorite show too). leko wasted no time jumping up on our laps to cuddle as soon as we sat down. he stretched himself out so long that he had his front paws all the way down by my feet. 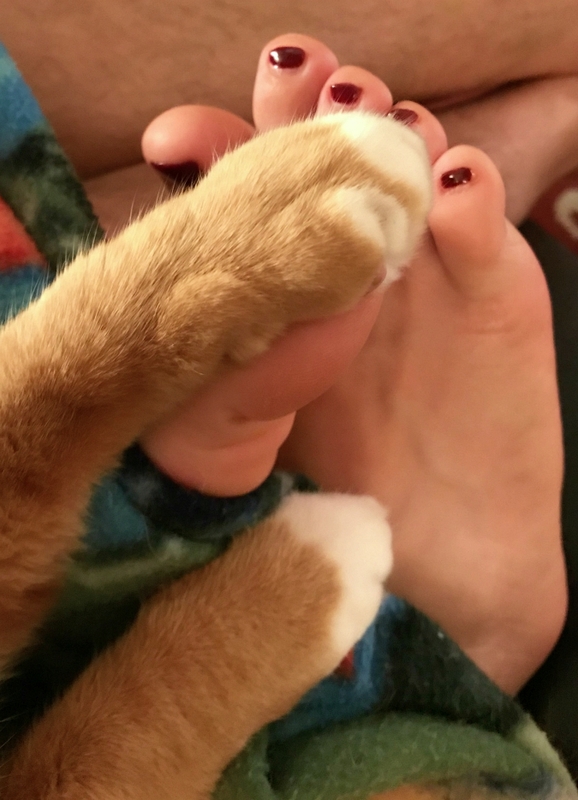 the next thing i knew he was hanging onto my toes with his little toes. 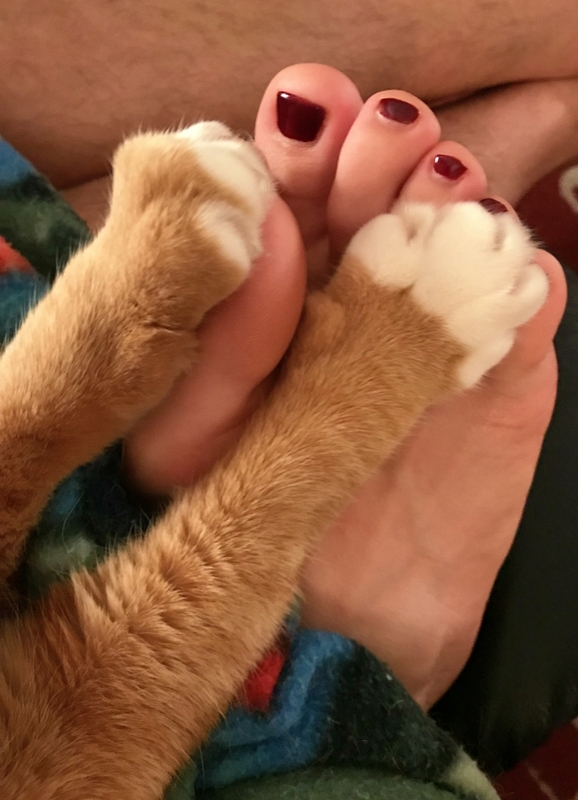 it was the cutest thing and felt so good because his paws are so darn soft! what a cutie! I think he wants some toenail polish also. Plus it was dancing with the stars so he was extending and pointing his toes.